Soaring airfares have led the Civil Aviation Ministry to consider a proposal to cap the highest and the lowest ticket prices, which the airlines would not be allowed to cross. The Ministry is working on a mechanism to fix the highest and the lowest price bands, with Civil Aviation Minister Ajit Singh expressing concern over the sharp rise in fares, especially during peak hours and seasons, forcing hapless passengers buying tickets at the last moment to shell out large sums. Official sources said though the government would not determine the fares, it was working on a formula to determine the lowest and highest ranges in consultation with the airlines. The fares would not be allowed to go beyond a fixed multiple of the minimum airfare during a given period, the sources said, while referring to the recent limited-period low fares announced by SpiceJet. Industry experts, while opposing any move to "restrict commercial decisions", felt that the best solution would be to link the air fares with the revenue per kilometre (RPKM) calculated by the airlines. A formula to determine the fare bands needed to be devised, they said. Currently, the price bands of each airline generally ranges from 12 to as high as 22 set on various sectors. While there was a need to make the price bands more transparent, there should also be some rationale behind the huge difference between the highest and the lowest air fares in these price bands, the official sources said. To questions, the Minister refuted reports that fares had gone up due to the closure of Kingfisher Airlines' operations, saying high jet fuel prices and airport charges were responsible for it. are charging more to recover costs and avoid bankruptcy. The costs in this industry are very high and the margins thin. 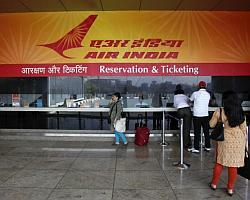 The airfares are dynamic and increase with the rise in demand for seats," Singh said. The lowest return ticket price between Delhi and Goa sector today was over Rs 19,000, on Delhi-Kolkata sector more than Rs 17,000 and over Rs 16,000 on the Delhi-Mumbai route, which has about 60 flights a day. Officials said more transparency was needed in fares to let the passenger know what fare they have to pay, noting that earlier, the fare-sheet used to be published in the newspapers on a regular basis by all airlines. On the prevailing system of fare buckets, they said the passengers should know how many seats are being offered in each fare bucket and what was available and what price. Recently, Civil Aviation Ministry officials had suggested to the airlines at a meeting that they should charge low spot fares on the travel date to fill up about 30 per cent of their seats which go vacant. They pointed out that the average passenger load factor for all Indian airlines hovered around 70-75 per cent, implying that the remaining seats on a flight go empty. At a meeting of the Civil Aviation Economic Advisory Committee, they suggested that the airlines could charge last minute spot-fares at low fares to fill up their seats. The Supreme Court had in December some time back directed the DGCA to examine the tariff structure of Indian airlines in view of the wide range of the base prices of air tickets, expressing concern over the massive differential between the lowest and highest air fares on the price bands.